Utterly adorable kawaii unicorn boxfish stickers in lovely pastel colors. Many variations available. Unicorn boxfish stickers by Evy Benita. 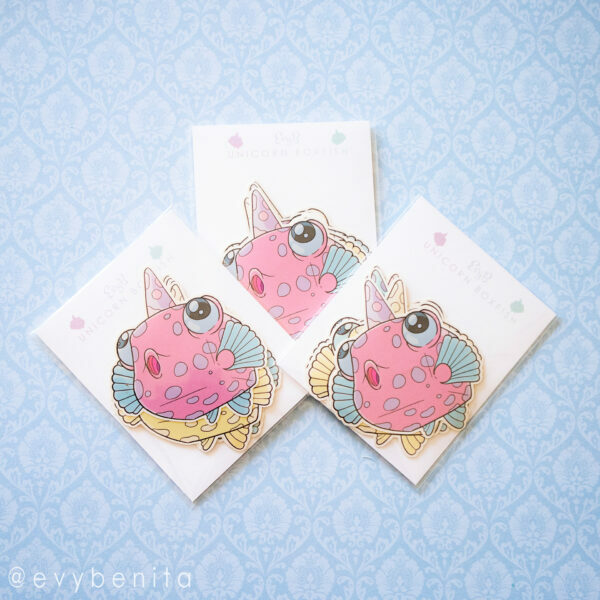 Utterly adorable kawaii unicorn boxfish stickers in lovely pastel colors. Inspired by the incredible yellow boxfish! Each set comes with six stickers. Find your favorite from the three unique color variations, or get the multicolor set with two of each(six in total).